Pork and Fennel is a magic taste combinations. 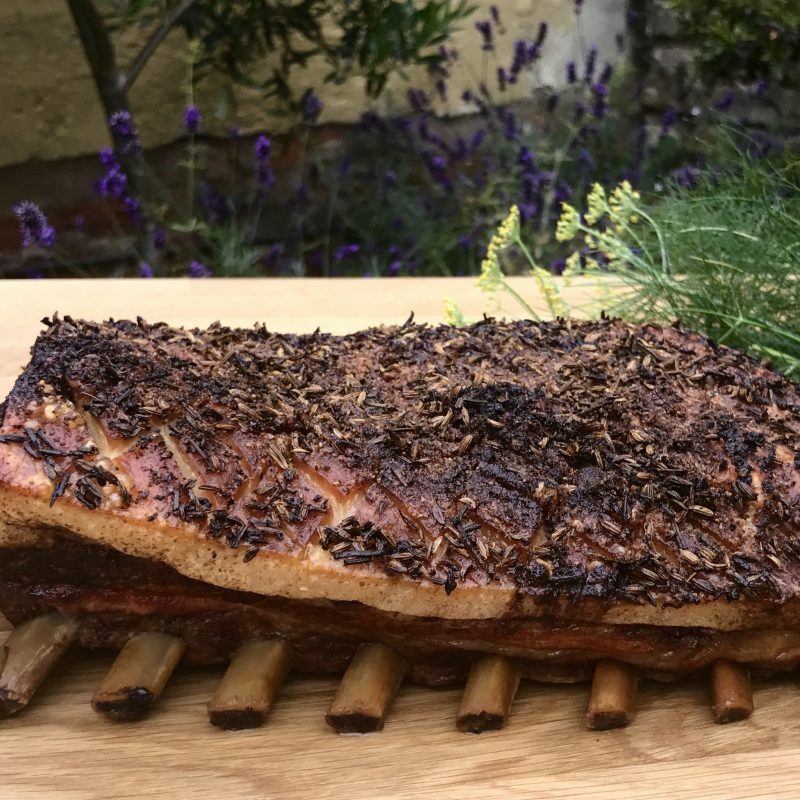 In this recipe we are using both fresh fennel (to braise beneath the joint, and to add flavour to the gravy) and fennel seeds to add insane flavour to the meat and crackling. Heat the oven to 220c/fan 200c/gas 7. Score the skin of the pork belly. Mix the crushed cloves of garlic, the finely chopped leaves from rosemary, the fennel seeds the salt and the pepper. Rub the olive oil over the pork skin, then rub in the spices , massaging into the score marks. Lay the thickly sliced onions and the fennel chunks in a roasting tin and pour in the white wine. Put the pork on top and roast for 30 minutes. Turn down the oven to 160c/fan 140c/gas 3 and continue cooking for 3 hours. 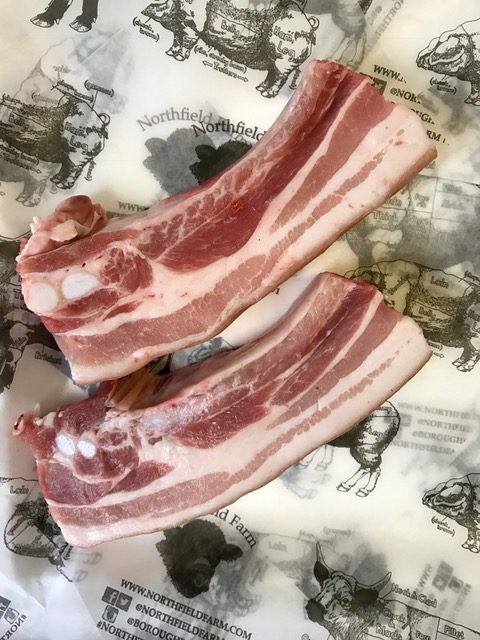 Lift the pork out of the tin onto a plate, and let it rest under foil and a tea towel for 20-30 minutes. Pour off most of the fat from the pan, then stir in the flour and cook it for a couple of minutes on the hob. Add the chicken stock and bubble everything together to make gravy. Either liquidise with a stick blender (to add the flavour of the fennel and the onions to your gravy) or strain into a jug and serve with the pork. 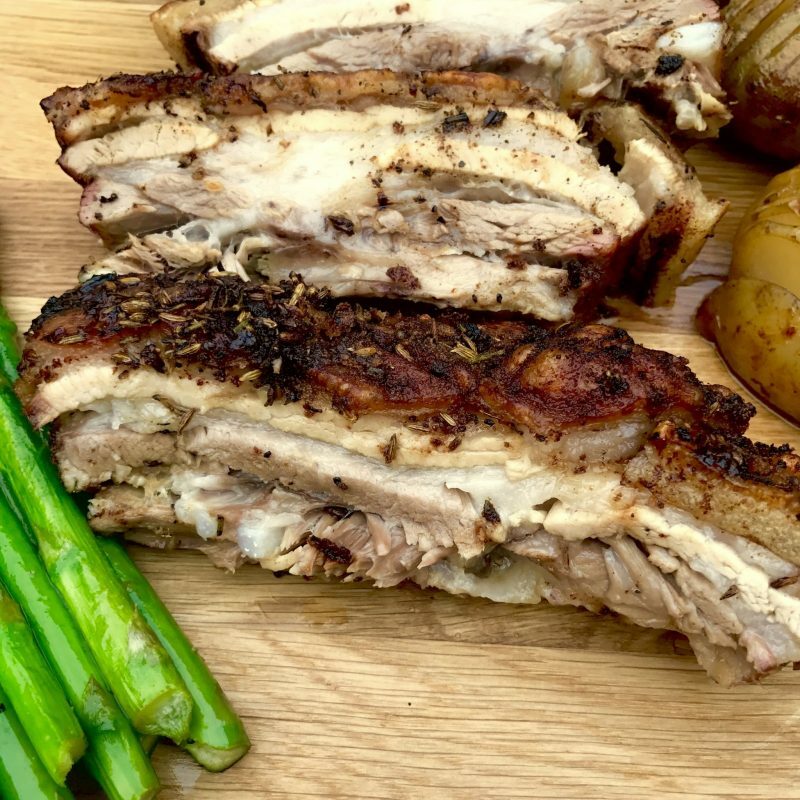 This entry was posted in Blog, Recipes and tagged belly pork, fennel, pork.